A silent almost unnoticed breakthrough has happened in the play-back arena. It used to be that only computers were able to manage the play-back of files with frame rates that did not conform to the TV standard frame rates. These days, your Smart TV Roku Media Player can do it too! This is HUGE for us here at FilmFix, because it means that we can finally provide you with a more compatible file that plays each frame back just like the film was intended to be seen. Smart TV's are slowly revolutionizing the way we view our old film. Now they play back 16fps and 18fps MP4 files, just like any computer. This is big, and shows you how small things -- as Frames Per Second -- matter hugely. This topic is quite geeky, but for the curious reader here is a truncated synopsis on the subject. TVs sync to 30 frames per second (25fps in Europe, etc.) That frame rate is linked to the electric AC current's frequency of 60Hz (50Hz in Europe, etc.) Films are shot at all sorts of different frame rates: 12, 16, 18, 24, 25, 29.97... up to 70fps and beyond. In the past, the only way to get these films to play back correctly, while preserving their true playback speed, was to double-up (or drop) frames to a standard TV frame rate of 30fps. This technique is standard practice during a film transfer (telecine), and is referred to as the 3:2 pull-down technique for converting 24fps to30fps films. (Note this illustration is simplified -- in reality the 3:2 pull-down is applied to the fields of the frames and not to the frames themselves.) 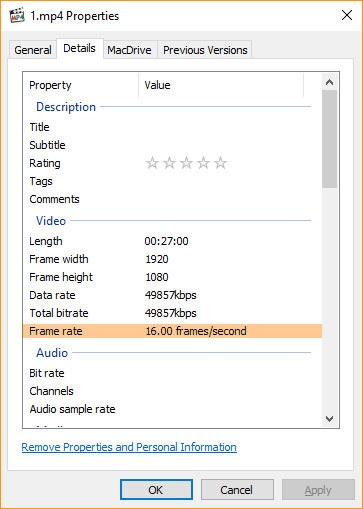 The image here illustrates the doubling up of frames when converting film exposed at 24fps to a 30fps TV standard. You may notice that the pattern is repeating every 4 film frames. The first 3 frames get copied cleanly, then the next frame gets doubled up; thus its name 3:2 pull-down. Tid bit: In the olden days, to save the video onto a TV-standard tape was to record the video signal in real-time -- field by field. Today, it all gets captured frame-by-frame, manipulated and kept frame-by-frame until it is time to produce the final output. It's a much different approach. Now this is where it gets ugly, because converting 18fps to 30fps is just messy. It is doable, but as you can see, in the image below, the pattern is less regular. That messiness is particularity noticeable when the camera-person shot long left-to-right (or right-to-left) panned scenes. It ended up looking jerky and far from smooth, upon play back. This shows the traditional (but dated) approach of providing you with a playable MP4 file or any of the other source file (ProRes or AVI.) 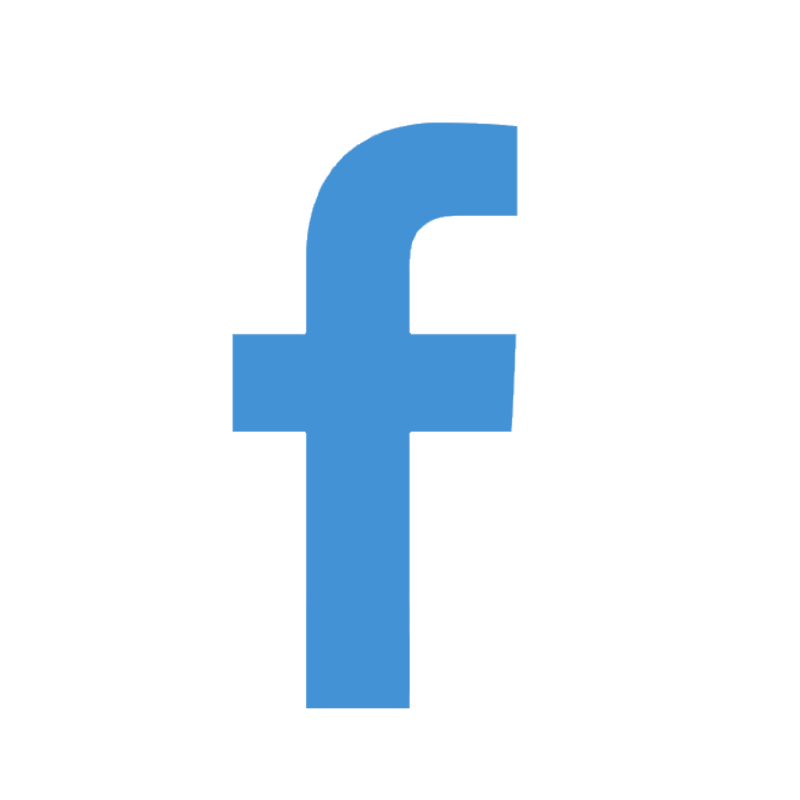 Note that we, FilmFix, used to provide you not with 30fps but rather 24fps files, because a 24fps file is a Blu-ray frame rate standard that is Internationally understood and compatible. Now imagine if you have an even lower frame rate, say, 16fps for Double-8 film? This lower frame already looked bad and then ... it got worse. Your old TV operates at 30 frames per seconds, whereas Smart TV's have a higher frame rate of 60fps (the same as your average computer monitor.) As you see in the illustration below, the higher frame rate has the advantage of evening out the color-differences better during playback. With the above illustration at 30fps it was more obvious when the frame doubling did not line up properly. For instance, orange has just one frame in the MP4 file (and on the TV) whereas in the Smart TV 60fps that one orange frame is better represented and blends in better. 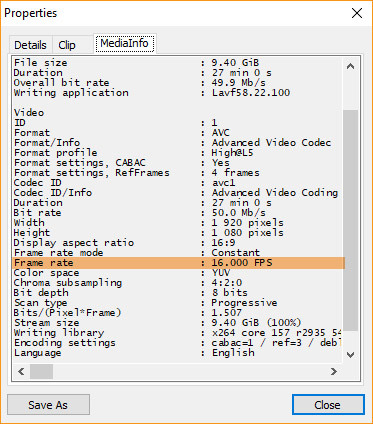 Most importantly -- play-back of MP4 files at a 18fps frame rate is now supported! Actually, any specified frame rate will work. The Roku Media Player from your Smart TV knows how to interpret the speed of your MP4 file to back it back correctly. And now this makes it possible for us to produce MP4 files (and other master files) that offer a 1-to-1 representation of each Film Frame; be it 18fps or 16fps, or any other frame rate, without having to double up any frame in your MP4 file. 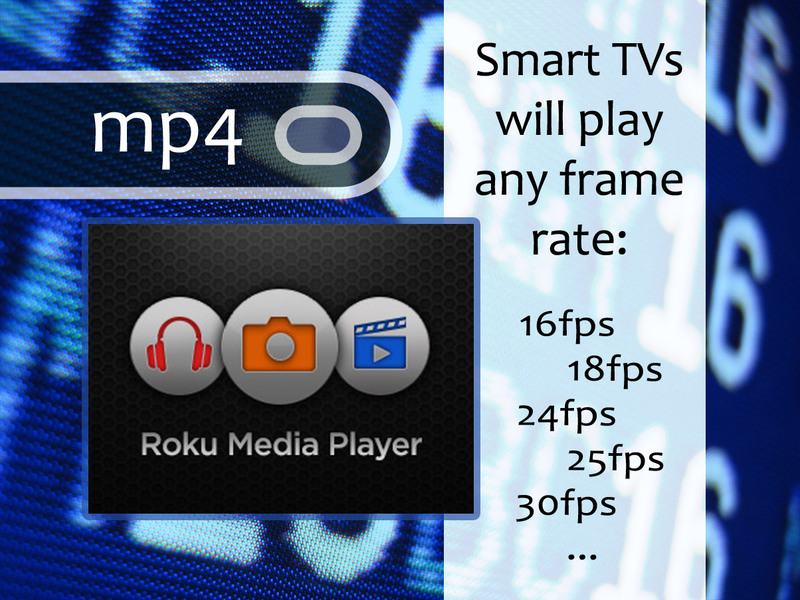 Your Roku Media Player will know how to stream an MP4 file that has an unconventional frame rate (such as 18 fps.) Exciting! The upshot is: Your Smart TV is able to play back MP4 files that have varying frame rates, just like your computer can. So, this finally opens up the possibility of truly changing the experience of how films that were originally shot at 16 or 18fps, or any other frame rate, are played back. So much for the truncated synopsis. 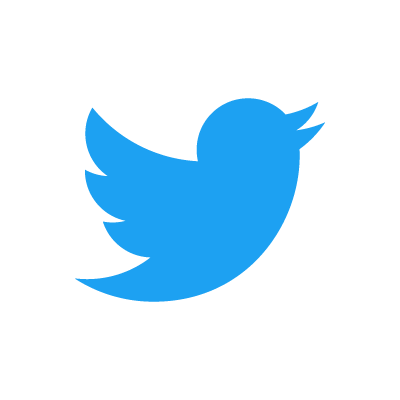 (For the even more curious person, there is more to it -- here. For instance there is an explanation about Drop or Non-Drop Frames.) Enjoy!